Rio de Janeiro is easily the coolest city in the world. Only a handful of cities offer their lucky inhabitants a beach on which to bathe in the tropical sun and Brazil's favourite destination goes one step further, spoiling its locals with some of the most iconic beaches on the planet. In fact, iconic is very much the word that encapsulates this spectacular seafront metropolis. It’s not all relaxing on the silica either, as Rio’s reputation for music and throwing a good party is as legendary as its ubiquitous Caipirinha cocktail (a tasty blend of local sugarcane spirit called cachaca, sugar and lime). 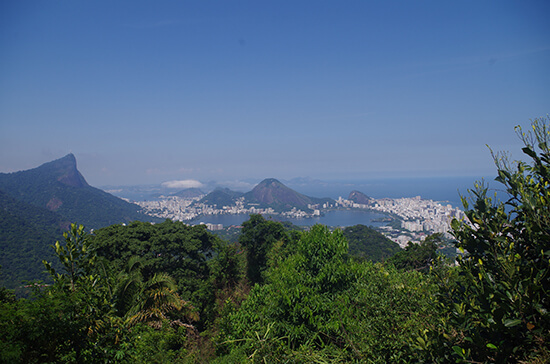 Visually Rio’s lush, green vegetation jackets impressive mountains that rise up around her sprawling neighbours, causing tourists’ jaws to drop in exclamation. That’s certainly true for this tourist at least. Okay, so I know this one is not available all year-round, but if you are going to pick a time to visit then try and make it February for Carnival. 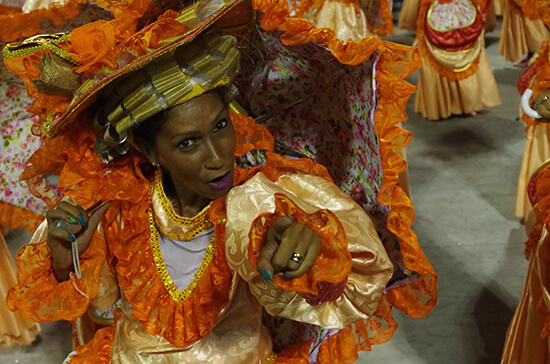 For one week a year the streets of Rio become a mass of infectious samba beats and creative and colourful costumes. The carnival spirit envelopes the city to such an extent that impromptu street parties can close roads at the drop of a hat – so don’t expect to get anywhere in a hurry during Carnival! Just grab yourself a street beer, relax, dance and enjoy what is simply the biggest party in the world. Festivities range from sporadic street parties to the renowned procession at the purpose-built Sambadrome. Organised street parties or ‘blocos’ can be either moving or static. 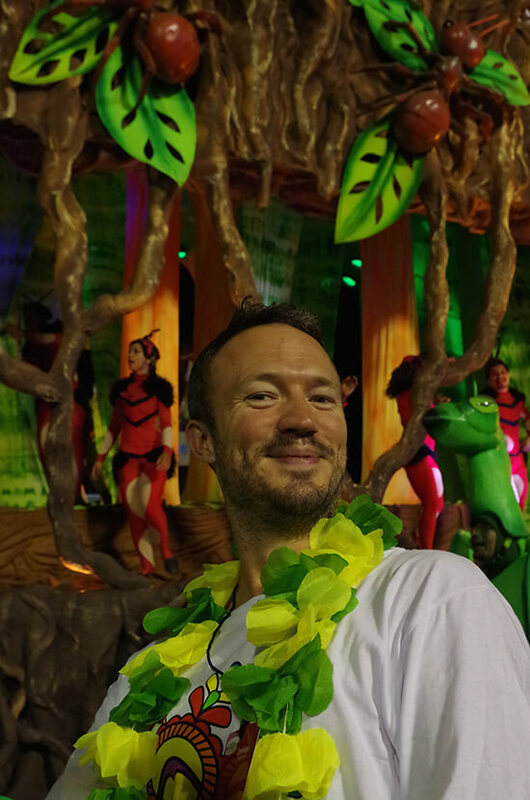 They cost nothing to attend and are a sure-fire way to truly understand what Rio Carnival is all about. 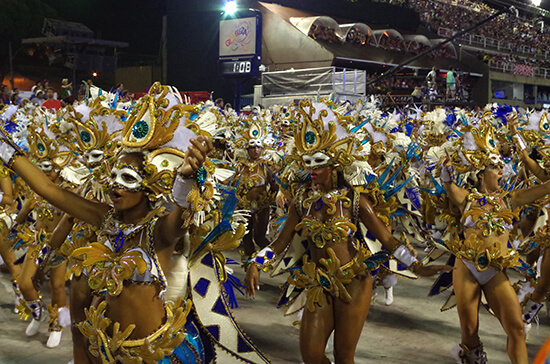 The main event is held at the Sambadrome though, where six of the city’s top samba schools compete with some of the most eye-popping floats, costumes and dance routines you’ll ever see. You need to buy tickets in advance and make sure you do, because this is an event that you’ll be talking about for years to come. Even the most rhythmically-challenged spectators will be dancing before the night is over. In the early 20th century Rio decided it needed an attraction to give tourism a boost, so naturally the powers-that-be came up with the idea of building a cable car route to the top of Sugarloaf Mountain. It was clearly just what Rio needed, and today floods of tourists visit the peak for its incredible 360-degree views of the city. You’ll need to take two cable cars to reach the summit and, once you get there, make sure you have your sun cream as it can get pretty toasty. The locals will tell you that sunset is the best time to go to catch the brilliant orange sky and moody shadows flitting across the cityscape below but, of course, this is also the busiest time to visit. For a bit of room to breathe, I recommend getting there early to beat the crowds. Copacabana might have the fame but Ipanema has all the style. The renowned beach stretches for 1.5 miles in front of the affluent neighbourhood of the same name, before giving way to Leblon Beach. Like all beaches in Rio it gets busy, but the ever-resourceful locals have capitalised on this by offering deckchairs for hire alongside ice-cold beers and even Wi-Fi access. Some even accept card payments! 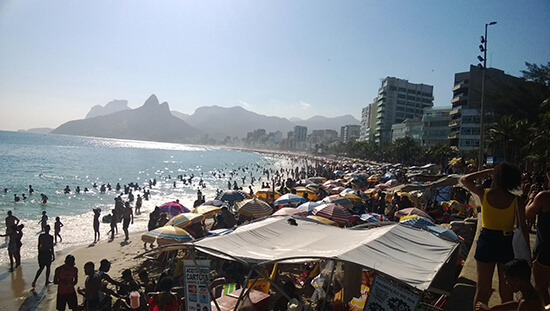 Generally you'll find a slightly more upmarket clientele sunning themselves on Ipanena compared to Copacabana, but you'll also notice that there are some areas of the beach that attract distinct social groups. The Argentinian flag waves above the area that attracts a contingent made up of Brazil’s neighbouring country; members of the LGBT community meet between posto (lifeguard post) eight and nine; fashionable, young and hip crowds congregate by posto nine; the super wealthy tend to catch their sun at posto ten; while families relax by posto eight, which is usually the quietest area. Wherever you end up, grab a chair and watch the sun go down with the sand between your toes and a cold beer in your hand. This is how you say goodbye to the daylight in Rio. It’s claimed to be the largest urban rainforest in the world and it brings a unique natural respite from this sprawling city. Popular with cyclists on weekends, locals often pack themselves a picnic and head up into the lush green environs via some challenging hills. If walking or cycling doesn't appeal then you’ll need to hire a car or join a tour as there is no public transport allowed in this leafy haven. For one of the best views over the city make sure you stop off at the Chinese Vista. Built in tribute to the Chinese workforce that lived for a time in old Rio, this pagoda-style structure is a fantastic spot to grab a beautiful panoramic photo of Rio’s top sights. Keep your eyes peeled for wildlife too as brightly-coloured butterflies float past on the breeze and small monkeys swing through the branches overhead. 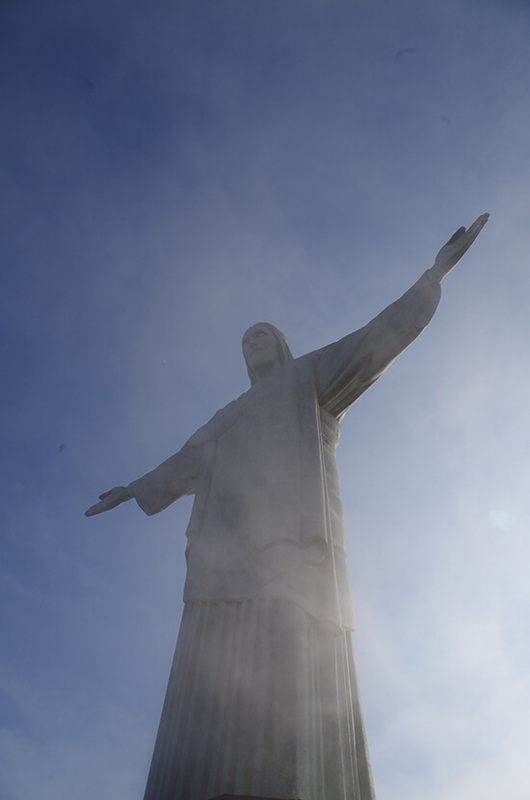 As beloved as New York City's Statue of Liberty, Rio's Cristo Redentor – or as we know it, Christ the Redeemer – is a hundred times the spectacle. A 20-minute train ride at a 75-degree angle is the first step in building your anticipation. If you can, park yourself on the right-hand side for this journey as you'll get the best views. The station at the top is frequently visited by troops of small monkeys so make sure you don't have any food on show in case they decide to relieve you of it. A flight of steps takes you past a couple of gift shops before an escalator carries you the remainder of the way: to the peak of Corcovado and to the statue of the Christ. There's a fair chance you won't be the only visitor(!) so be sure you bring a patient attitude as you carefully step over horizontal tourists trying to capture the perfect shot from the floor. You'll also need to watch your head as ubiquitous selfie-sticks also haunt the viewing platform. It might be busy but the view from the top is well worth it and, should you feel moved to reflect spiritually, there is a tiny chapel in the base of the statue. What took me (and everyone else) by surprise was the envelopment of cloud that seemed to arrive out of nowhere. For a moment we couldn't see further than a few feet in front of us, but once the mist had lifted a little we were treated to some wonderfully atmospheric impressions of the statue. Ready for Rio? Speak to one of our Travel Experts about our range of tailor-made holidays to Brazil.